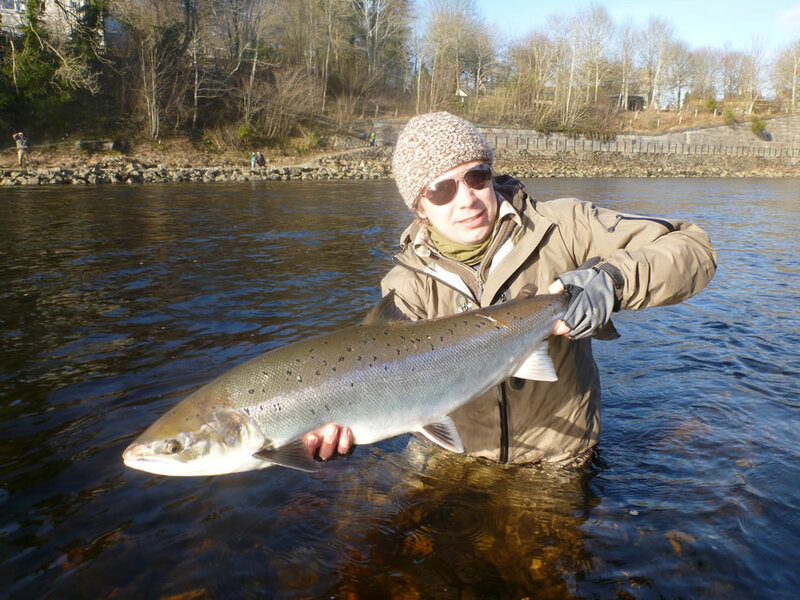 I had a privilege to test the new 13´9 8-9 LXI on my 6 days of fishing on river Dee. 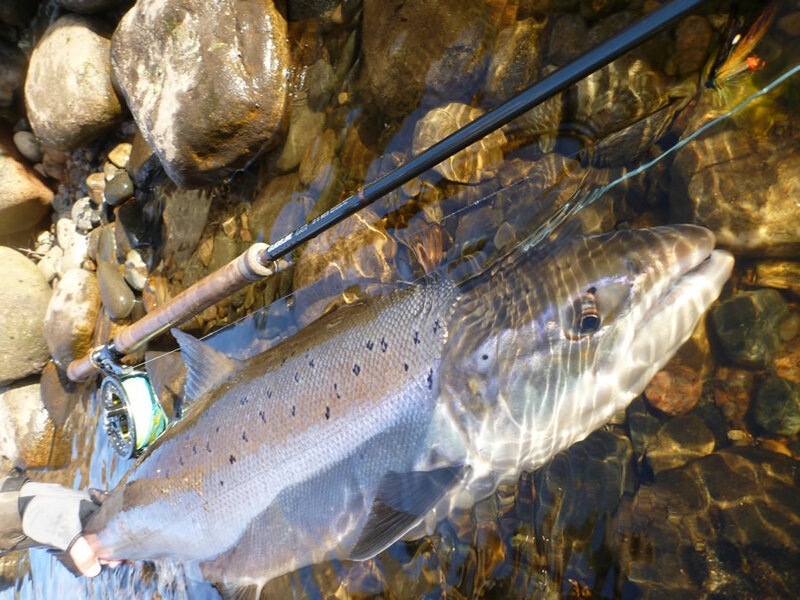 Mr. Norling send his demo rod to me for some serious salmon fishing. Normally I’m not so into these smoother rods like 13’9 8-9 is and before the fishing I had my doubts than can it suit for my fishing better than my old favourit Le Cie 9-10 13’2. But after a couple of days fishing with both rods I didn’t have any problems to only carry the new LXI with me. Even tough it’s a very smooth and long bending rod it had so much power that I didn’t have any problems to use it even with heavy flies and windy weather. I strated my fishing by using the new Scandi line Float/H/S1 9-10 because I like a bit heavy lines and this rod didn’t have problems to cast that 9-10 line. This combo was just really good. New Scandi line worked perfectly and I’m pretty sure that I’ve done my longest cast on 8-9 rod with this combo. Unfortunately F/H/S1 wasn’t just enough on freezing river and I had to go a bit deeper. First I used my old favorite short cut S1/S2 9-10. I had no problems of using that and the rod worked well also with a little older line. After using the S1/S2 for a while I changed to Compact RTG INT/S1/S2 9-10 with a fast sinking polyleader and this compo felt really good. Casting was really easy and I didn’t have problems to cast even a bit heavier flise to the other side. Line felt also good for fishing and this combination felt perfect for the rest of the week. Fishing was first a bit hard and after losing one nice springer on monday and fighting only with some old kelts I was a bit afraid of not geting the LXI for a real test. Fortunately on friday I hooked a nice springer and had some fighting test also. Nothing dramatic happend and I was lucky to land 93 cm springer with the new LXI. Fish turned out to be biggest of the week with 19 lbs. Next Saltwater fly fishing and Murphy’s law.